In a raid where kills per minute translate to speed of progression, your group requires a way to reliably deliver devastating damage to numerous enemies at once. Banshee is one example of a frame that can do that, however her weakness is that she loses all mobility while outputting the damage. The answer to this problem is Equinox. Able to stay on the move and still generate injectors for the entire room, this frame is a prime choice for completing TJV quickly, painlessly and efficiently. Learning when and how to use Maim is key to being able to DPS and complete mission objectives at the same time. 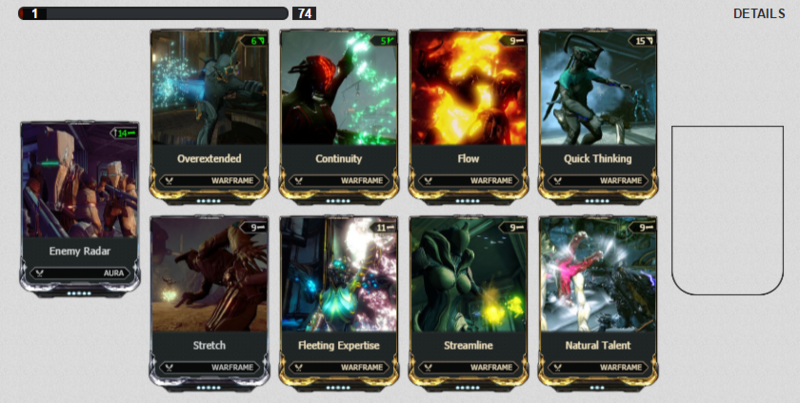 WIth that in mind, Equinox can be one of the most fun and dynamic roles in a JV group, with a skill ceiling higher than most other frames. Active maim damage does not scale with strength, only the passive damage does. The passive damage is essentially negligible in JV, so don’t build around it. Efficiency is useful to have. If you go below 100% efficiency, you will start to have serious issues maiming on time and keeping maim ready. Natural Talent is a quality of life feature to deal with Maim’s long cast time. It can be switched out for a parkour mod or Cunning Drift. Equip a weapon that can quickly charge up your maim. Some great options are high-power shotguns (V. Hek, Tigris), Tonkor, Synulor and other god-tier weaponry. Try to take out any nearby ancient healers before releasing maim - they provide all their allies with a 90% damage reduction. Wait until you have at least 25,000 damage absorbed through maim before releasing it. In phase 1, kill enemies along your way to charge up maim, then release it in the last room before decryption stage. That generates a lot of injectors for everyone before decryption even starts. During decryption stage in phase 1, position yourself as close as you can to the middle of the room while still remaining within a bubble - that way you can cover the entire room with maim. Pay close attention to all 3 injectors! If one of them starts going down, you are in a good position to provide assistance. For this reason, always keep 2 antiserum charges on you at all times. In the elevator stage of phase 2, stay at the ground floor and eliminate all the enemies there. The enemies on first floor will not start spawning if the ground floor is still swarming with infested. As the elevator goes up, keep clearing enemies from floors one and two - let the rest of your team worry about filling injectors. You can cover the entire 1st or 2nd floor from the elevator with 235% power range. In the last phase, keep clearing the infested even if your team isn’t in immediate need of ansiserum charges. Not only are you spawning more charges for later use, but also making the run a lot easier due to less hostile pressure. Make sure to use your maim just before your team destroys each of the nerves. You won’t get another chance! Once the nerve is destroyed, all enemies automatically despawn, and your maim will be deactivated when you transfer to AW mode. If you don’t release it before the nerve is killed, all that stored damage goes to waste. Be careful about using Provoke (skill #3). If your team features a speed nova, you will ruin her build by giving her unwanted power strength.